The structural and aesthetic benefits of aluminum continue to make it one of the most specified materials in the industry today. The challenges — whether in transportation, shipbuilding, fabrication, manufacturing or home/hobby — are similar: distortion, cleanliness, quality and speed. Arming yourself with the right equipment and consumables will make the job easier. 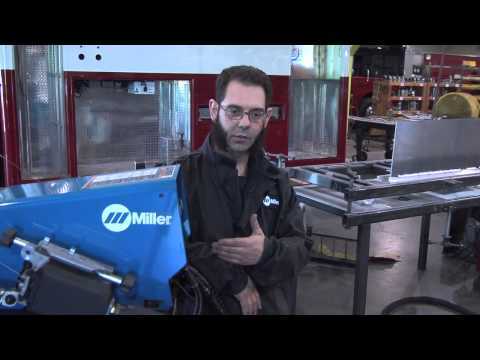 Miller is committed to providing a total aluminum welding solution for your business. You can count on our easy-to-use equipment to improve quality and increase your productivity, profitability and peace of mind. 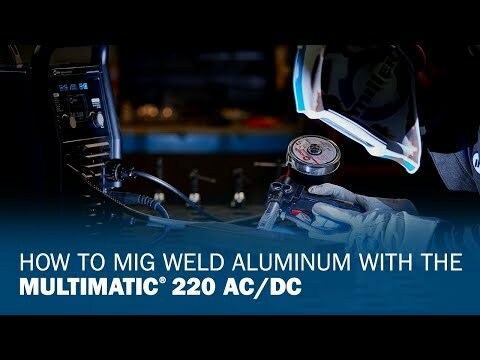 Setting up you Multimatic 220 AC/DC to MIG weld aluminum is easy. Follow these steps to get started. 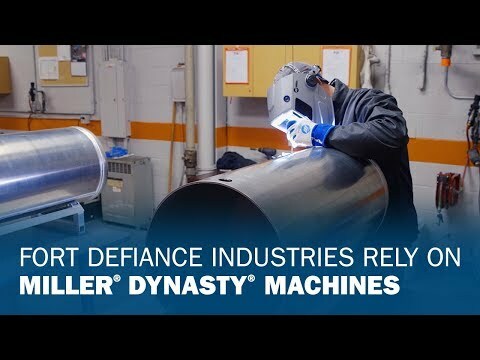 Fort Defiance Industries manufactures critical medical devices for the U.S. military with the help of Miller Dynasty® machines. 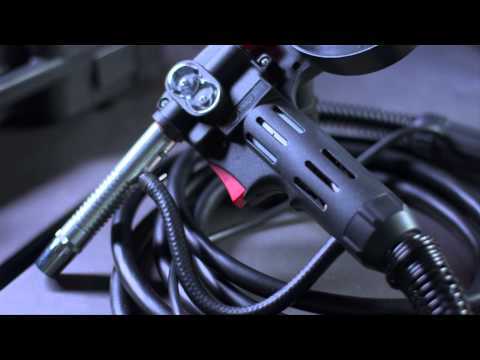 The Spoolmate 100 is the economical and versatile solution for welding aluminum with your Millermatic, handling 4043 alloy and 0.30 to 0.35 aluminum wire. 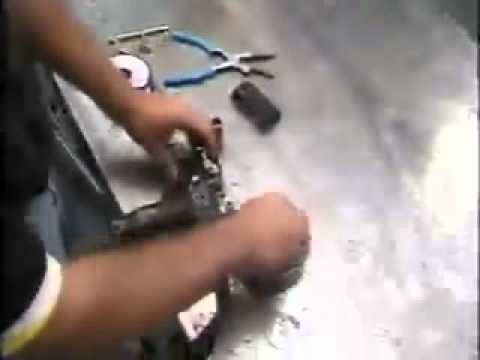 A dedicated aluminum welder, like a Millermatic 350P Aluminum or AlumaFeed can reduce quality risks, and reduce cleanup. 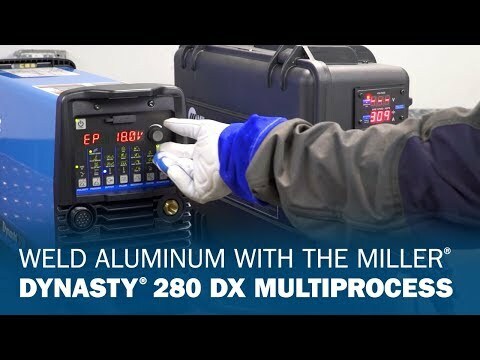 An in-depth look at the settings and capabilities of the Millermatic 350P, an all-in-one MIG welding system designed specifically for aluminum. 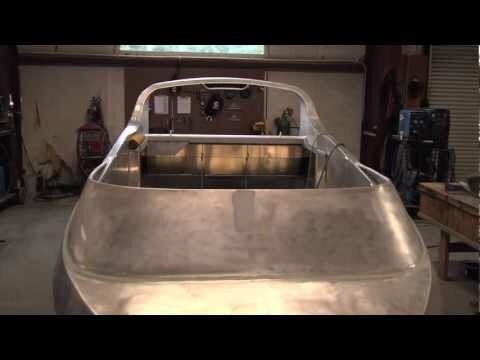 Jet Boats is building aluminum in the mountain woods, using Miller's latest Pulsed MIG technology to ride the wave of boat orders. H&W Pacific Emergency Vehicle Group uses Invision 352 MPa Plus to increase productivity thanks to more control and longer leads. Owner of Marcella Manifolds discusses the evolution of GTAW welding, including the advanced AC TIG controls. K-zell Metals relies on Miller's AlumaFeed Synergic System for welding aluminum components. Benefits are excellent arc starts and aesthetics. BarbieTheWelder shares her passion for welding and metal sculpture with thousands of followers — and she relies on Miller. Pulsed MIG improves productivity, reduces reject rates and provides Greenheck with welding versatility not possible with older technology. Before any of the U.S. Coast Guard’s Fast Response Cutter (FRC) patrol boats hit open water, they begin their journey up 60 miles of waterway through Bayou Lafourche in Lockport, La. That’s where Bollinger Shipyards builds the Coast Guard’s newest vessel for conducting search and rescue, drug and illegal immigrant interdiction, homeland security and mainland defense. 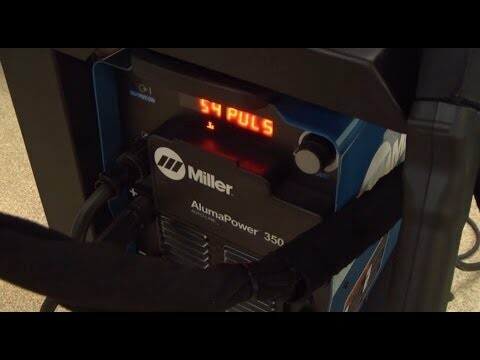 One of the hottest trends in welding at home or on the farm is adding MIG aluminum capabilities to a Millermatic® all-in-one MIG welder by complementing it with a Spoolmate™ 100 or Spoolmatic® spool gun. 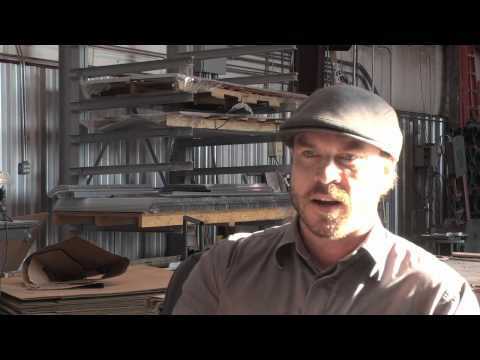 Andy Weyenberg, Miller motorsports manager, presented four steps for beginning aluminum TIG welders at SEMA 2009. The final two steps detail forming the puddle and adding filler metal. 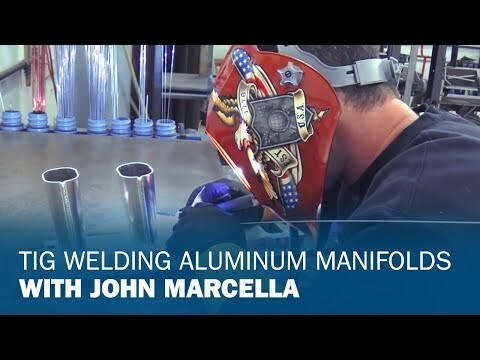 Andy Weyenberg, Miller's motorsports marketing manager, presents four basic steps for beginning welders looking to TIG weld aluminum. This article, and the accompanying videos, covers the first two steps. 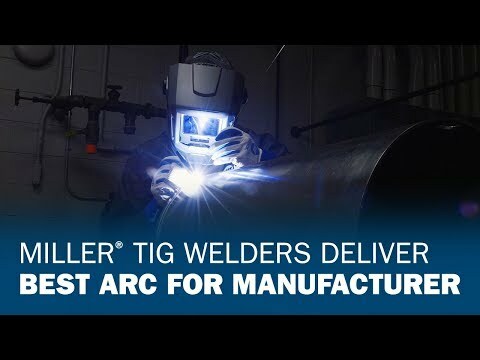 Miller Dynasty® 350's superior arc shaping capabilities cut welding time by 50 percent, improve weld quality and efficiency for Florida fabricator. 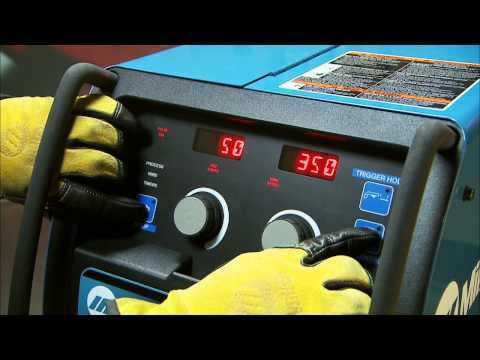 Advanced AC TIG controls help cut through anodized aluminum much easier than older TIG technology.